On Thursday, experience an Atlanta Tradition. The Santaland Diaries is on at the Horizon Theatre at 8. David Sedaris' story of a struggling elf at the Mall at Christmas is sure to make your season bright. 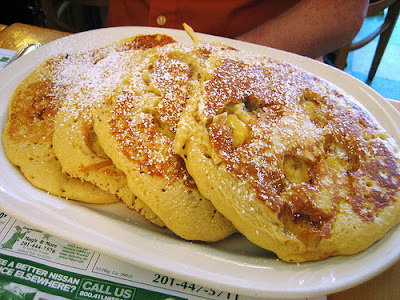 Start the day with banana pancakes. 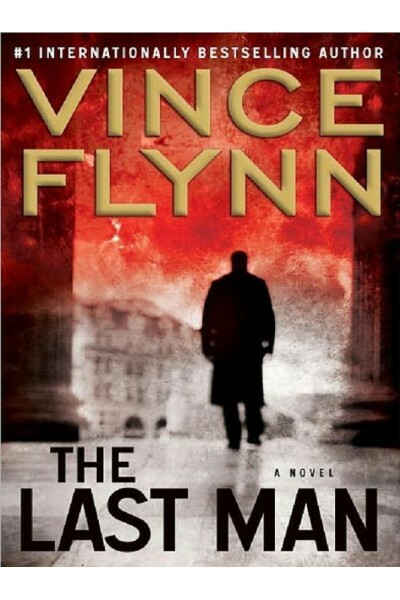 Then catch up on your reading with New York Times best seller The Last Man. Lunch at Eats follows, and then the Planetarium show at Fernbank Science Center. Finish up the day with dinner at the Vortex and the Santaland Diaries. Great Thursday! See the Santaland Diaries on Thursday. It's a long Atlanta tradition. 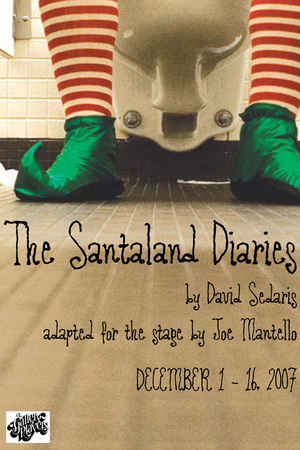 "For nearly 15 years, Atlantans who are more comfortable sampling super-stiff eggnog at Christmastime than taking a spin on the Pink Pig have flocked to the Horizon Theatre's annual run of David Sedaris' The Santaland Diaries. Harold Leaver marks his 14th year as Crumpet, the apathetic struggling writer who toils as a department-store Santa's minion to make ends meet in the play — firmly established as one of Atlanta's favorite adults-only Yuletide traditions — directed by Jeff Adler and co-starring Enoch King and Lala Cochran." Tickets are $25 - $40. Get them here. The show starts at 8. "A pulse-pounding thriller by #1 New York Times bestselling phenomenon Vince Flynn, as Mitch Rapp heads to Afghanistan to track down a missing CIA agent. With Afghanistan crumbling around him, Rapp must be as ruthless as his enemies and as deceitful as people in his own government if he has any hopes of completing his mission." Get it at Amazon, or iTunes. Third: Lunch at Eats. Eats on Ponce serves up an eclectic blend of Caribbean and southern cuisine. Jerk chicken, spicy back beans, collard greens, corn bread. It's healthy, fast, and so good. I like to get the jerk chicken plate, with cornbread, rice, and blackbeans myself. But, make sure to check out the menu and take it all in. ($ - $10 per person). A jerk chicken plate from Eats for lunch. "Get in the holiday spirit, as we tour the winter constellations and explain the seasons on Earth. Examine the history of holiday traditions around the world and explore possible astronomical explanations for a "Star over Bethlehem." Was it a comet, a meteor or supernova?" Tickets are $4-$5. There are multiple shows throughout the day. Check out the schedule at the Science Center website. Finally: Santaland Diaries. See an Atlanta Tradition. Show starts at 8. Today's full day plan can take up to about 20 miles of driving, if your home base is midtown Atlanta. The 20 miles equates to about 15 pounds of carbon dioxide, or the carbon sequestered by about 3 sq feet of forest. Calculations are based on the U.S. EPA's green house gas equivalencies calculator.